It’s not often one has the opportunity to discover a horse, then go on to introduce that unique animal to the world and establish it as a recognized breed. Yet that is precisely the journey that Dennis and Cindy Thompson of Ocala, Florida made with the Gypsy Vanner Horse. 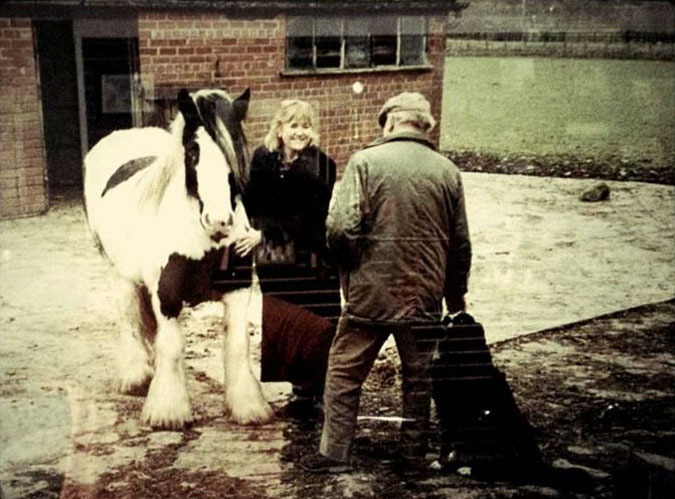 On a trip to England in 1995, the sight of a colorful stallion at pasture captivated the Thompsons. 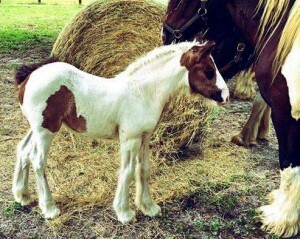 the height of an average horse, but built like a draft horse, the stallion had piebald (black and white) markings, an elegant head and very hairy legs. Fascinated, the Thompsons stopped to discover who owned this striking animal. Adding to the sense of magic and mystery, the farmer who was temporarily keeping the horse told them that a Traveler owned the horse and that he also had a hidden band of mares that looked just like him. Fascinated and smitten by this personable, colorful horse, the Thompsons spent the remainder of that day in a Gypsy camp listening to words of passion from a man about his special horse. 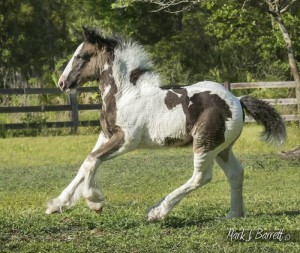 To their delight, they learned that the Gypsy owner was willing to sell this special stallion, but it would be at least a year before he had finished with his breeding plans. The Thompsons returned to the United States brimming with curiosity and after reviewing a multitude of breed books, they were stunned to find that this intriguing horse was not recognized as a breed. Four calendar years followed with an obsession to understand what the breed was and was not. Their journey would include choosing a name for the unknown breed. The choice was between Romany Horse and Gypsy Vanner Horse and with the blessings of dedicated British Gypsy breeders, the name Gypsy Vanner Horse was chosen. The video featured below is a beautiful description of the history and foundation of the breed. 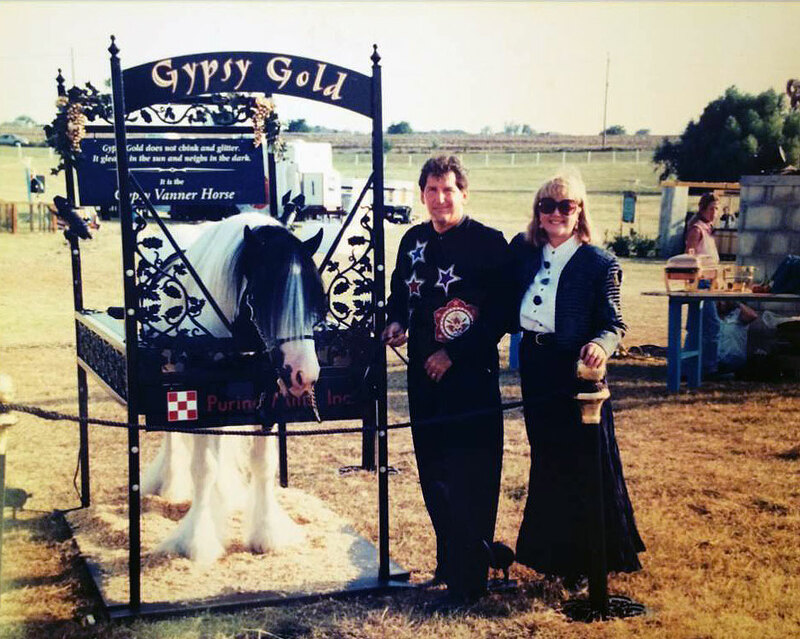 On November 24, 1996, the Thompson’s established the world’s first registry for a selectively bred horse developed by British Gypsies. 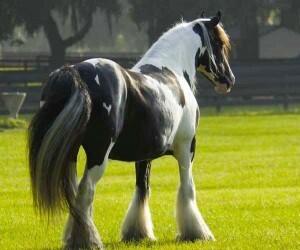 Read about the History of the Gypsy Vanner Horse at the Gypsy Vanner Horse Society. 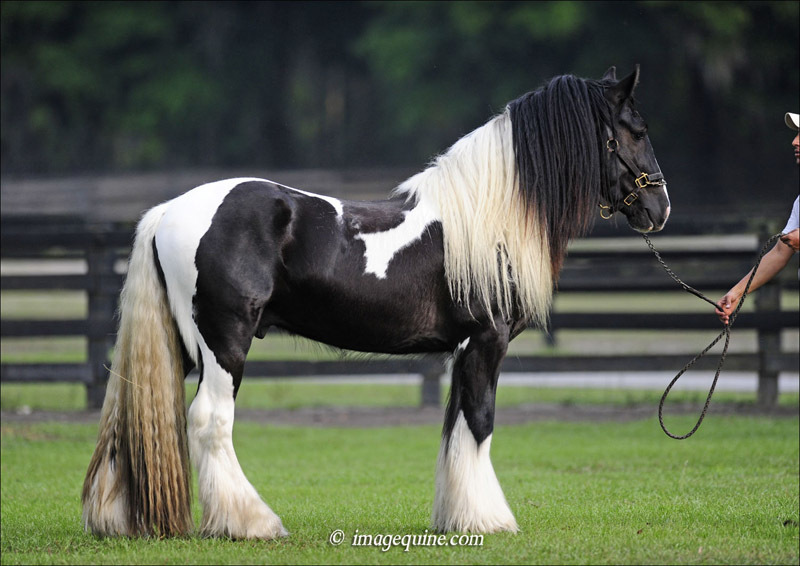 The primary breeds that went into creating the Gypsy Vanner Horse are the Shire, Clydesdale, Dales Pony and through genetic association, the Friesian (the Friesian was involved in the development of the other three). In 1995, a very high percentage of the horses raised by British Gypsies were not a breed at all, they were a type with unknown heritage. Those horses are called “trade horses”, “export horses”, “knacker horses” or “colored riding horses”. Those horses have smooth legged genetics in their heritage and were raised for the restaurant business in Belgium, Holland and France, but they can fool an untrained eye. In recent years, Great Britain has enacted a passport system for horses. As a requirement the owner must declare that the horse will not be used for human consumption. 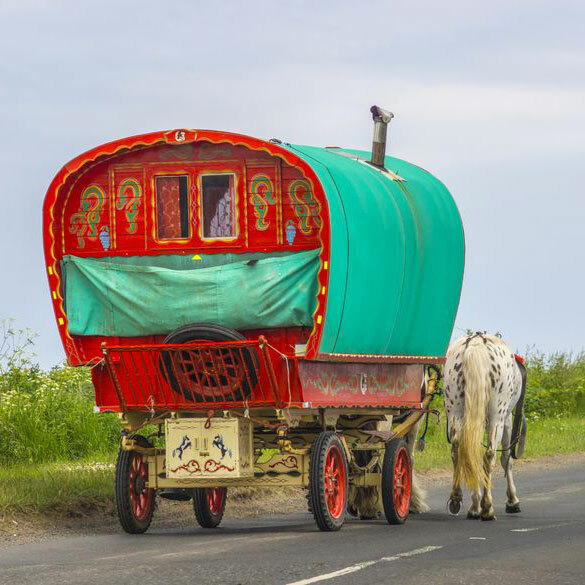 Until 1996, the word Vanner meant “a horse suitable to pull a caravan” in the English Chambers Dictionary. Vanners pulled all freight in Great Britain before there was combustable engines, they were the semi trucks. A very old word “Vanner”, was removed from The English Chambers Dictionary in 1996, for lack of use, it coincidentally was the same year the Gypsy Vanner Horse was recognized as a breed. 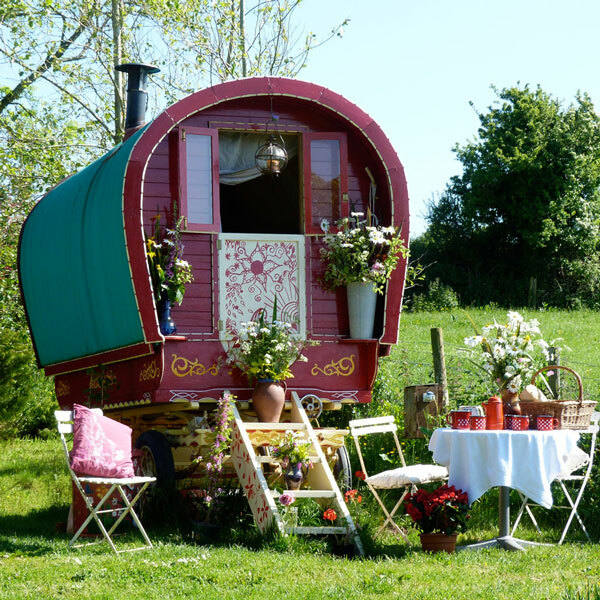 Although Gypsy caravans and carts can be found in many European countries, only in Great Britain did the Gypsy caravan literally become an art form, making the English version the most highly decorated Gypsy caravan in the world. 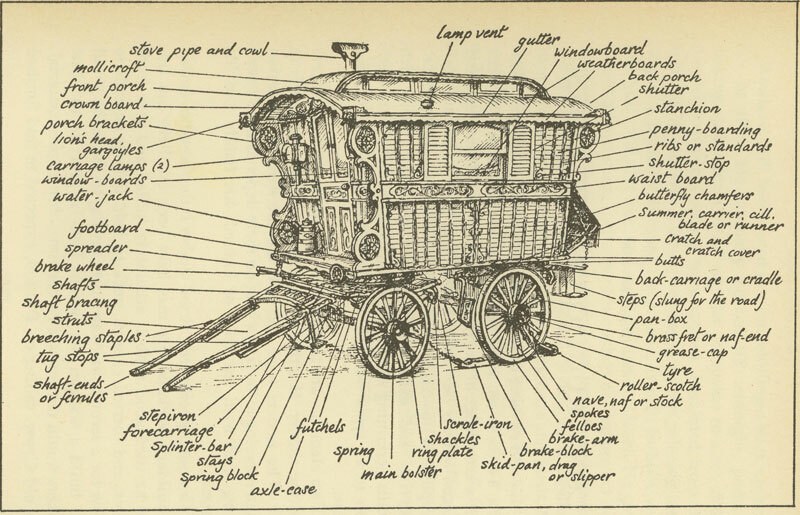 Understandably, the owners of such elaborate caravans sought a horse ideal for it, hence the vision that created the, Vanner breed, a British Gypsies, Caravan Horse. Before World War II horses that pulled British Gypsy carts and caravans were not a breed at all. It was only after World War II that a vision was born to create the horse now recognized as the Gypsy Vanner Horse or Vanner. With an outstanding disposition, Vanner is known for his kind and generous personality. Easily trained and capable of most any discipline, the breed is used for both driving and riding. 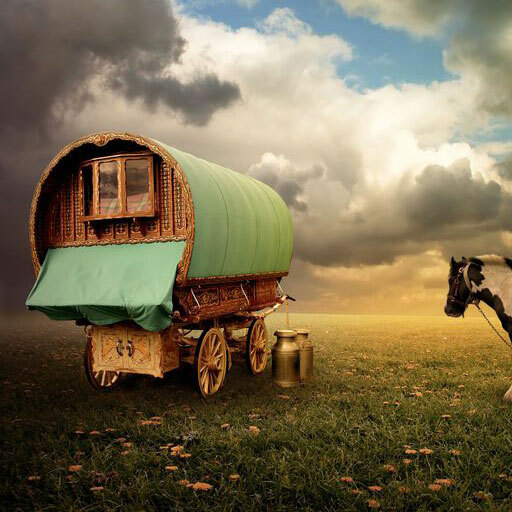 The vision British Gypsies had for their special caravan horse was that of a small Shire, with more feather, more color and a sweeter head. With a short back, heavy bone (flat at the knee) and broad chest and heavy hips, the Vanner has a more refined head than most draft horses. Feather (hair on the legs) is called an additive or cumulative gene and on the Vanner, it begins at the knee on the front legs and at or near the hocks on the hind legs, covering the front of the hooves. 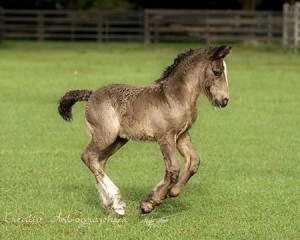 Only hairy legged horses could have created the Vanner breed. Colors include: Piebald (black and white), Skewbald (brown and white), Blagdon (a solid color with a splash on the belly or more profound splashes of white, often referred to as a splash Blagdon or checkity horses), Odd Colored (described as any other color and white). The most common colors derived from core genetics, but today exotic colors can also be found. It is critical to remember the Vanner is not a color breed—it is a body type. As breeders, we must be very cautious to not forsake body type and breed character for exotic colors. The Gypsy Vanner Horse Society originally recognized three size categories, as we do at Gypsy Gold. The Mini Vanner, The Classic Vanner, and The Grand Vanner. All sizes should have the look of a small Shire with more feather and a sweeter head. These colorful and charismatic horses make an impact wherever they go and have proven themselves true crowd pleasers. 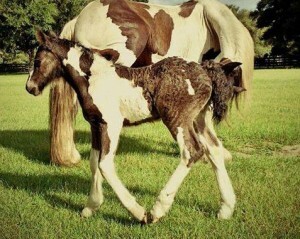 Gyspy Vanner Horses first appeared at Equitana USA in 1998 and for the breed’s introduction in 1999, and the first foals born in America appeared at Equitana USA. Interested in learning more? Download “A Colorful Combination: Gypsy Vanner Horses” brochure. In it you’ll find the GVH mission, society, marketing, social programs, dreams and complete history. Watch for “Gypsy Gold, The Journey of a Lifetime”, by Dennis Thompson, which will be released soon.